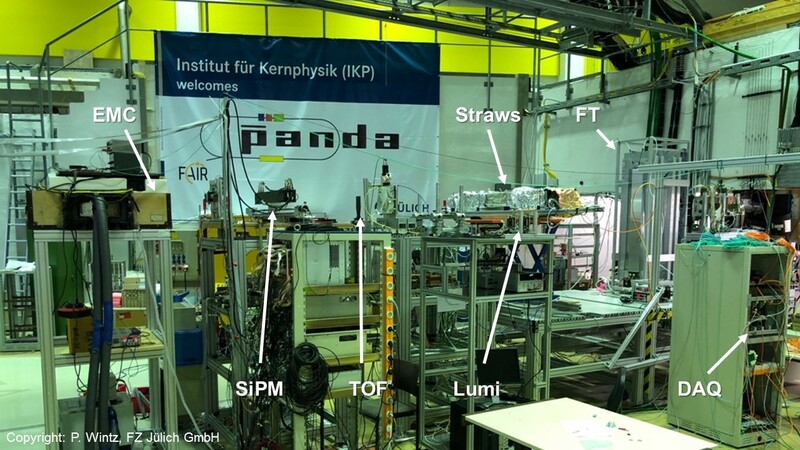 The PANDA Experiment will be one of the key experiments at the Facility for Antiproton and Ion Research (FAIR) which is under construction and currently being built on the area of the GSI Helmholtzzentrum für Schwerionenforschung in Darmstadt, Germany. The central part of FAIR is a synchrotron complex providing intense pulsed ion beams (from p to U). Antiprotons produced by a primary proton beam will then be filled into the High Energy Storage Ring (HESR) which collide with the fixed target inside the PANDA Detector. 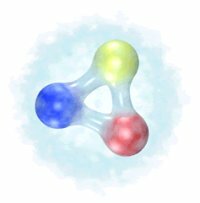 The PANDA Collaboration with more than 500 scientist from 20 countries intends to do basic physics research on various topics around the weak and strong forces, exotic states of matter and the structure of hadrons. In order to gather all the necessary information from the antiproton-proton collisions a versatile detector will be build being able to provide precise trajectory reconstruction, energy and momentum measurements and very efficient identification of charged particles. 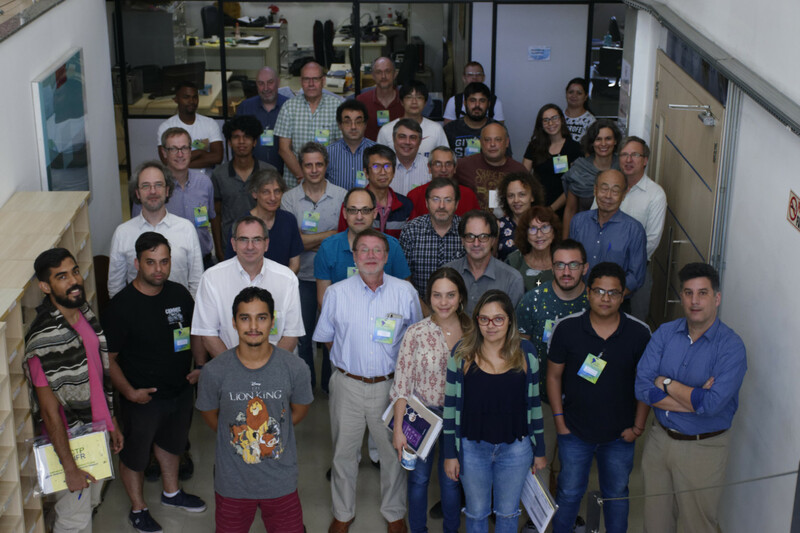 At ICTP-SAIFR a joint workshop of Brazilian Scientists and representatives from PANDA and the PANDA TAG took place from Feb 25-March 1, 2019 with a focus on PANDA related physics and technology providing close contact with PANDA science, development and construction. 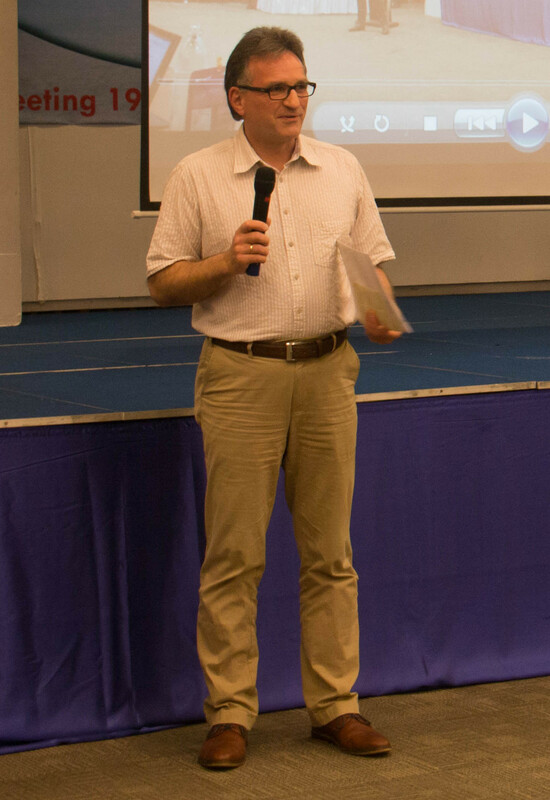 The meeting was well attended (about 60 registrants) and PANDA was represented by Tassos Belias, Kai Brinkmann, Tord Johannsson, Klaus Peters, Tobias Stockmanns and Ulrich Wiedner (who was also co-organizer) as well as our theory colleagues Christian Fischer and Evgeni Eppelbaum. We had a proton beam of 2.5 GeV/c momentum (almost minimum ionising) and varied intensities and beam profiles for the FT tests. Many thanks to the COSY crew for the quick beam set up and stable operation, so that we could exploit 10 days of beam time (7 requested). I was told that all six groups were very pleased with the beamtime, although spending both sunny Julich weekends in the cave.